Meet Teresa, one of our travel experts for Fiji. 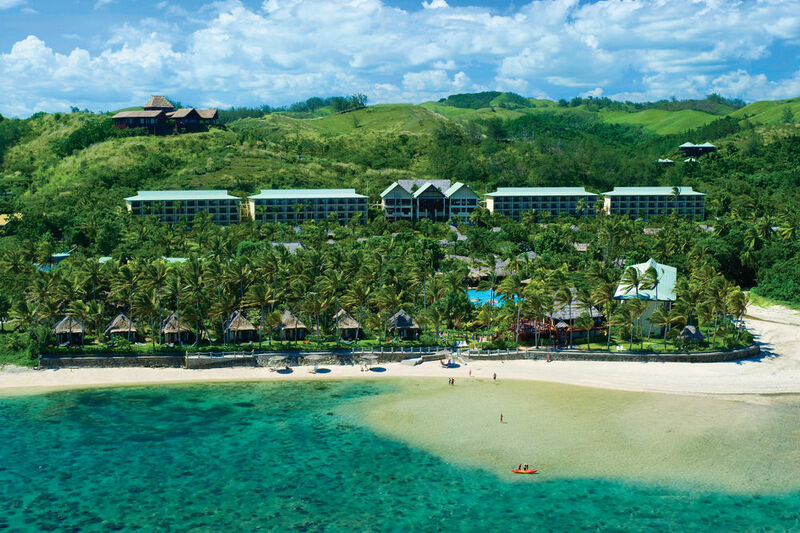 Outrigger on the Lagoon, Fiji is one of the most enchanting resorts in the South Pacific. Occupying 40 acres on a calm beachfront on the Coral Coast of Viti Levu island, this Fiji resort getaway embraces the design and hospitality of a traditional Fijian village. This Fiji hotel's signature Talai service, traditional butler service with a South Pacific twist, is available to guest staying in Deluxe Ocean View rooms, suites and bures. Talai service includes complimentary arrival drinks, and champagne with canapés delivered to your room every afternoon. Talai butlers are available to unpack and press your clothing, recommend tours and activities, and schedule restaurant reservations. This Fiji accommodation is well suited for a family vacation with an impressive tropical swimming pool, supervised children's activities, Meimei nanny service, and kids-eat-free program. The beach resort is also perfect for a destination wedding and honeymoon. Combine a beautiful hilltop wedding chapel, Bebe Spa, award-winning restaurants, and an array of touring options to create your perfect romantic holiday. Corporate retreats are welcomed with conference facilities, catering services, 24-hour room service, on-site entertainment and a host of outdoor adventure activities.